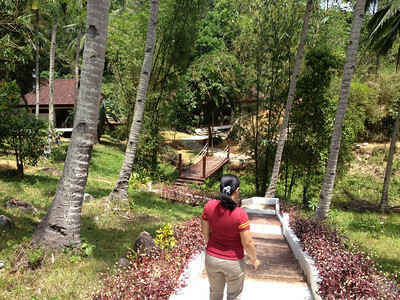 As I was researching things to do in Guimaras, I came across Camp Alfredo. A family-, nature- adventure destination, Camp Alfredo turned out to be near (on the way to) our resort (Raymen Beach Resort) so it should definitely be part of the inland tour if you're staying there too. 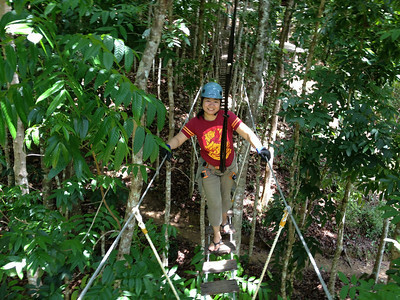 You also only spend around 30 minutes to an hour there, depending on how fast you can go through the hanging bridges, so it's easy to squeeze in on your way to the resort or back to the wharf. 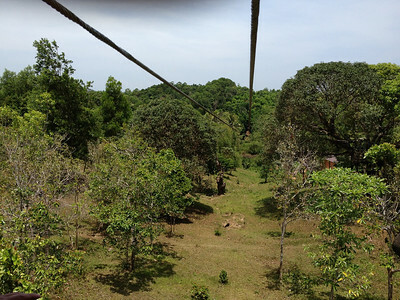 Their rates include zipline, hanging bridge and rapelling and they were a stickler for safety. I was a mountaineer once so I have a pretty good idea of really cautious men who have respect for... well, in this case, heights.